" Time for me now to leap off the lily pad and experience all that life has to offer"
So this year is Leap Year- and today is Leap Day, the 29Th of February! Since this occurs only every four years thought it would be fun to explore the traditions and the myths surrounding this date. Single? Well, today is suggested to be the day to ask that someone special or as one friend recently said, I’ll just go out and find a really good looking guy driving a really nice car, with an attitude and ask him to marry me!. Yikes!!! Really? She had read that in some areas of the world if a woman proposed to a man, and he refused, he would have to buy her clothing. So her thinking was OK, I am single what is the downside risk of No? Laughing I asked her did it ever occur to you that men are not familiar with this so called tradition? Didn’t seem to bother her! Her quick wit is so appreciated, as in her response back to me. “Ok so really using today to practice my skills of walking up to a strange man and introducing myself”. Putting me out there and taking risks is part of my 2012 self development program. Today I feel more confident as in the back of my mind I feel it is more acceptable today! The Risk of Going after what we want and the Reward of Accomplishment! A mental safety net, at least in her mind, to take a Leap and take a risk! So what are you leaping for today and for 2012? Given we have an extra day prior to entering the third month in the first quarter a good time to assess how are leaping is going. · Are we leaping toward our dreams, goals, visions, projects, life? 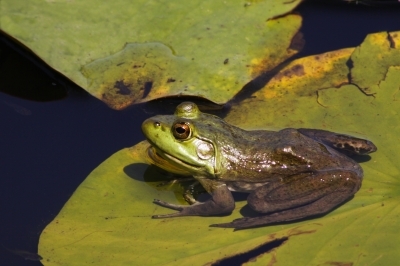 · Perhaps we have been sitting on a lily pad too long either waiting on “something” or fear of leaping to new adventures. · The accomplishments and progress of the past two months – Celebrate! Time for me now to wish you a great adventure leaping to all the you desire and remind you of something my mentor Denise Linn always says: “Who you are is enough”…….